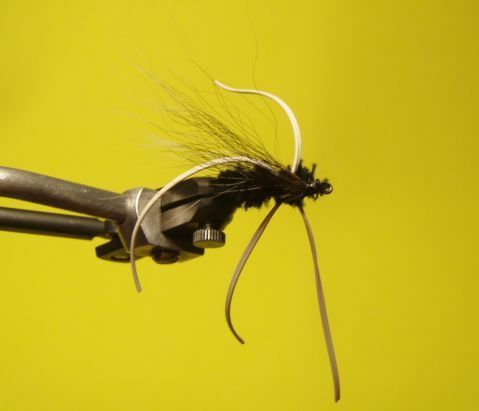 Tie the chenille in behind the hook eye. 2. 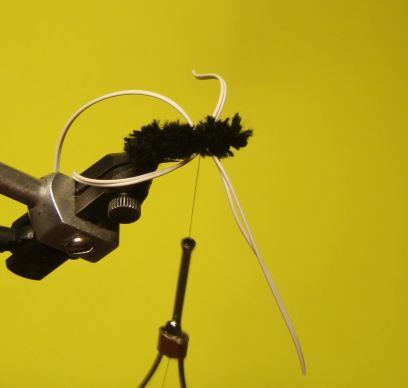 Wrap the chenille down on past the bend of the hook. 3. 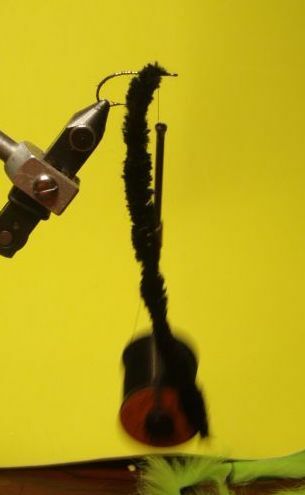 And then spiral the chenille back forward to the eye. 4. Tie off the chenille and cut. 5. 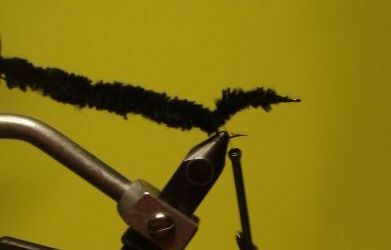 Tie on a pair of rubber legs to either side. 6. 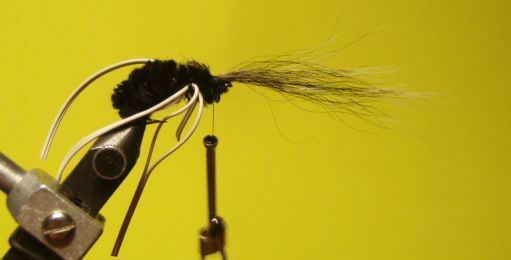 Tie on the squirrel tail just behind the eye, with the tips extending out over the hook eye. 7. 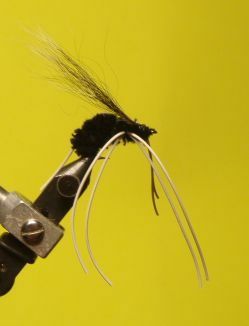 Bend the squirrel tail fibers back and tie down. Whip finish and glue. 8. 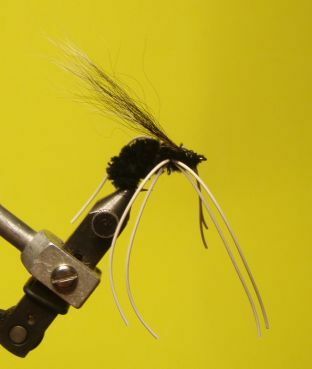 Split the legs and trim to length, if required.